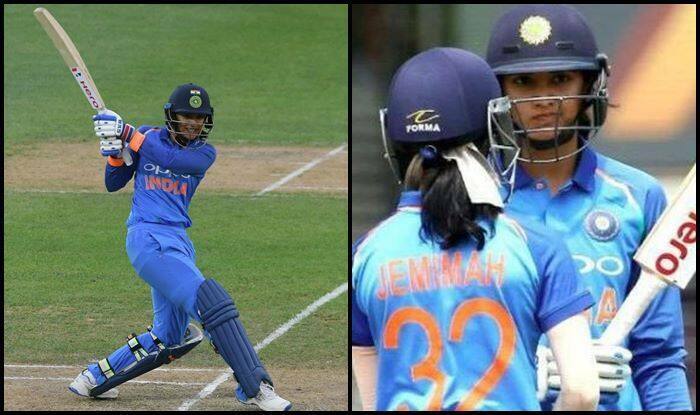 India Women vs New Zealand Women: India opener Smriti Mandhana smashed the fastest fifty for India eves in WT20Is. India Women vs New Zealand Women: India opener Smriti Mandhana smashed the fastest fifty for India eves in WT20Is. The southpaw slammed a 24-ball 50, breaking her own record by a ball. Chasing 160 to win in the 1st T20I, Smriti got India off to a belligerent start as she kept taking the aerial route and found herself successful in doing so. Smriti finally departed for a well-made 58 off 34 balls, an innings that was laced with seven fours and three sixes. She was out as she looks to take the aerial route once too often, the fielder was pushed back in an unusual position of deep cover where Hannah Rowe took a screamer to get rid of the ever-so-dangerous Smriti Mandhana. This was her seventh T20I as she equaled captain Harmanpreet Kaur. Mithali is on the top of the tree with 17 to her name. Earlier, the White Ferns posted 159/4 in their stipulated 20 overs. Sophie Devine with 62 off 48 balls was the highest scorer for the White Ferns. At the time of filing the copy, chasing 160 to win India was 11/4 in 15 overs with skipper Harmanpreet and Anuja Patil in the middle. India needs 49 off 34 balls. After the dismissal of Mandhana, the tables seem to have turned.